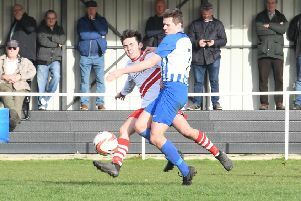 The football club were preparing for life in the Boston Saturday League’s Premier Division following last season’s promotion. However, the club claimed ‘circumstances beyond our control’ as the reason for pulling the plug. A statement on social media read: “It is with regret we announce that with immediate effect, Skegness United FC will withdraw from the Boston League. “In doing so we will also cease to exist as a club. “This is a decision we have fought very hard to avoid and have, in the past few months, worked to avert this event. “Sadly it wasn’t to be. Circumstances completely beyond our control have forced this inevitability upon us. “As a club we would like to thank all sponsors, committee members, supporters and players for their efforts since our formation.